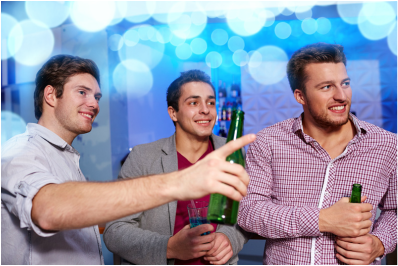 Overland Park Limo Service has become the NUMBER ONE choice in Kansas City for Bachelor Party Limo rides and fun. You know that on your Bachelor Party Night, it's going to include major doses of raucous, crazy fun and massive amounts of alcohol. Don't even think about driving yourself! That is why we are here. To provide safe and reliable transportation for you and your friends on this EPIC NIGHT. Do you have a big gathering? Don't worry, we have Limos and Buses of all sizes at our disposal. Need a Party Bus? No problem. Something smaller? Again, no problem. Our Mobile Party Machines are designed to give you exactly what you want: Big Sound, Lots of Room, and the LOOK that will let you guys walk out "looking like a G". Our Amazing Staff of Drivers is well acquainted with all that Kansas City and Overland Park have to offer. You could say, they've been around the block a time or two. Regardless of what you are looking for on your Bachelor Party night, they will deliver. Give us a call TODAY to make your advanced reservation at 913-956-0088!! Fill in a pick up time and then choose either AM or PM in the next box. Fill in a drop off time and then choose either AM or PM in the next box.